But “community” can also be a verb. As in, to be actively engaged. To support. 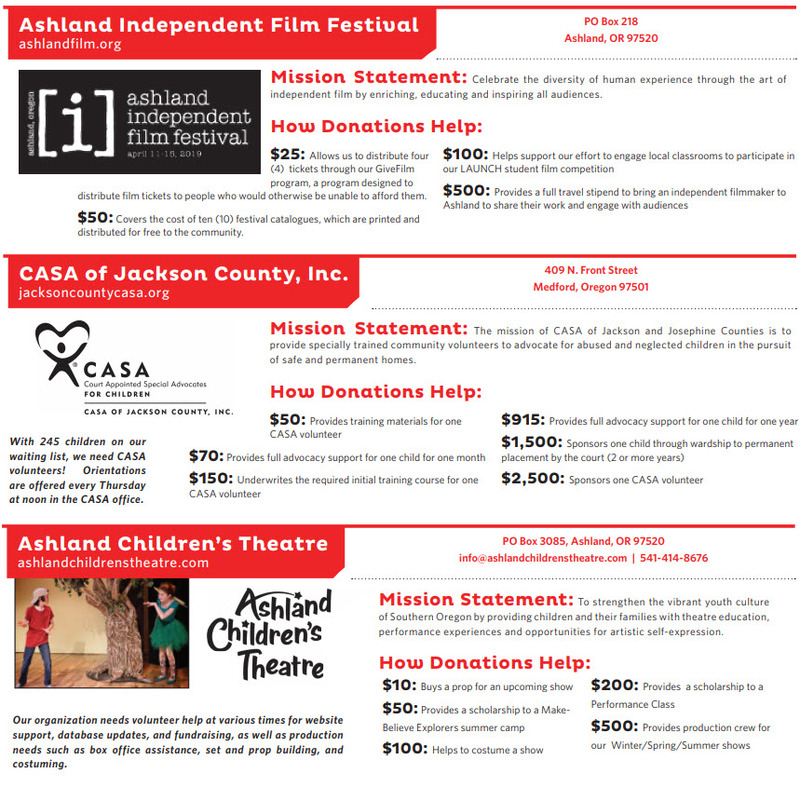 The Messenger’s annual Give Guide is a hodge podge of organizations. What holds them together and what defines this community is that each is trying to make the Rogue Valley a better place—whether it is SMART teaching young children to read or Klamath Bird Observatory protecting migratory environments. These are important contributions—and we want you to meet them. Yes, here in our pages. But also in person. 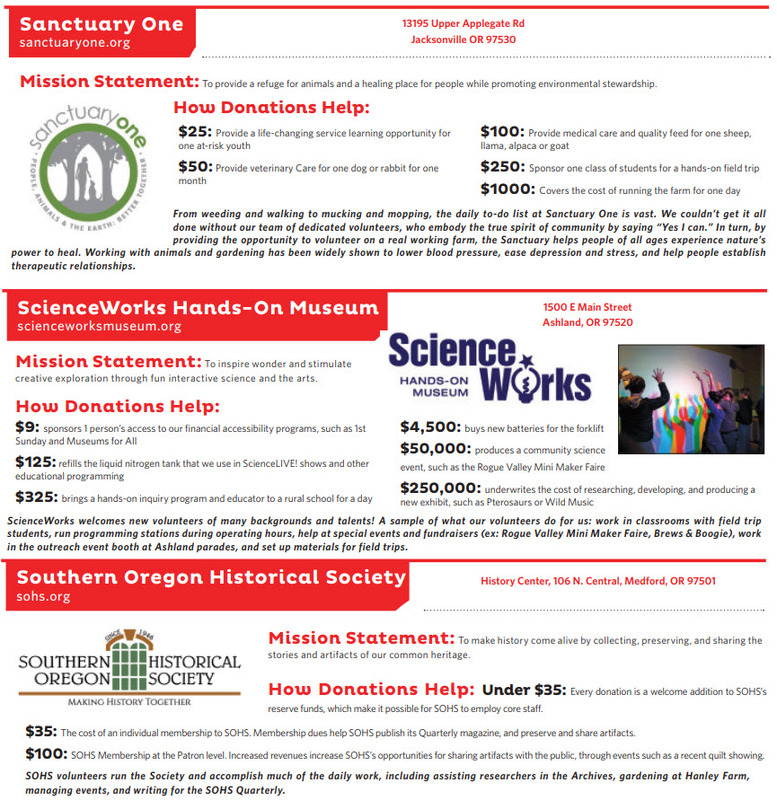 On November 27, the Messenger is pleased to host the original and only live Giving Tuesday event in Southern Oregon, 5:30 – 8 pm, ScienceWorks, 1500 E. Main in Ashland. 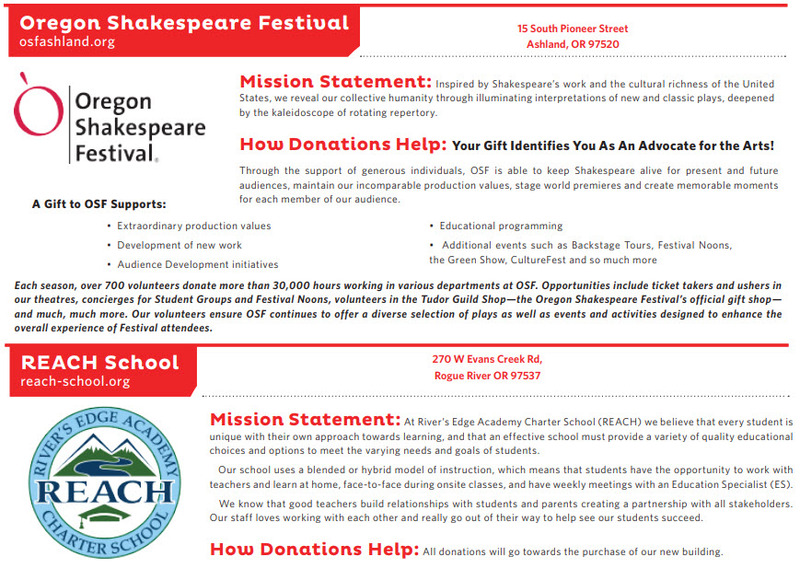 We have expanded the number of participating organizations this year, and host a fun opportunity to learn about your neighborhood nonprofits—and a true opportunity to be an active member of the Southern Oregon community. Yes, there are problems in our communities. Graduation rates aren’t as high as they could be. There is sexual violence. Families are without homes and meals. But there are also solutions. Lots of them. 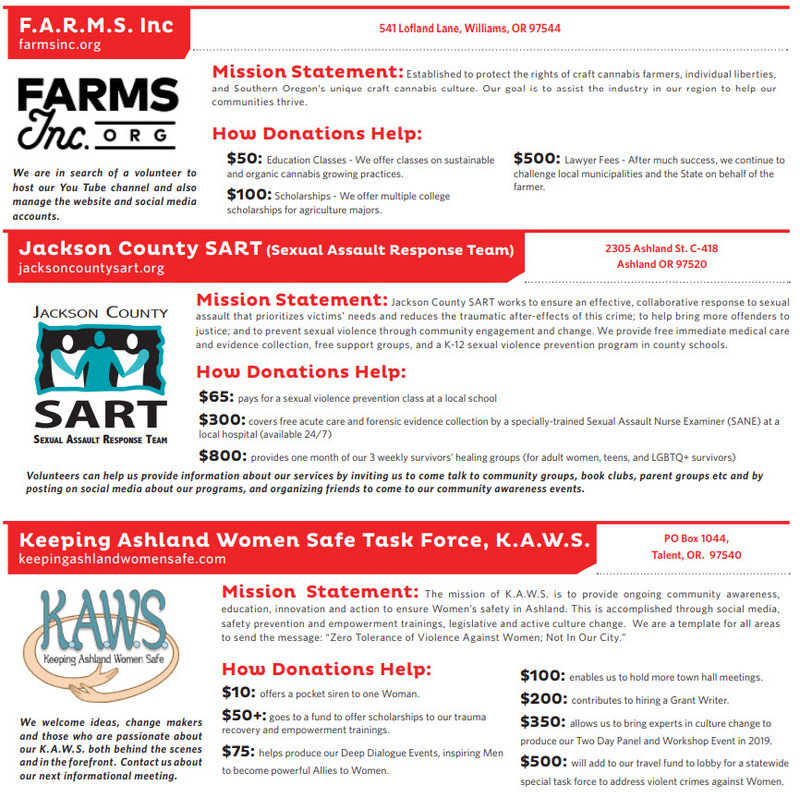 And every day—literally, every single day—these organizations are helping out. And because we believe that saving the world—or at least this neighborhood of it—does not need to be dour work, we are trying to make this as fun and interactive as possible. Walkabout Brewery is providing beer, and wine from Kriselle Cellars and donated by bookAirHop. For free. We simply ask that you show up. 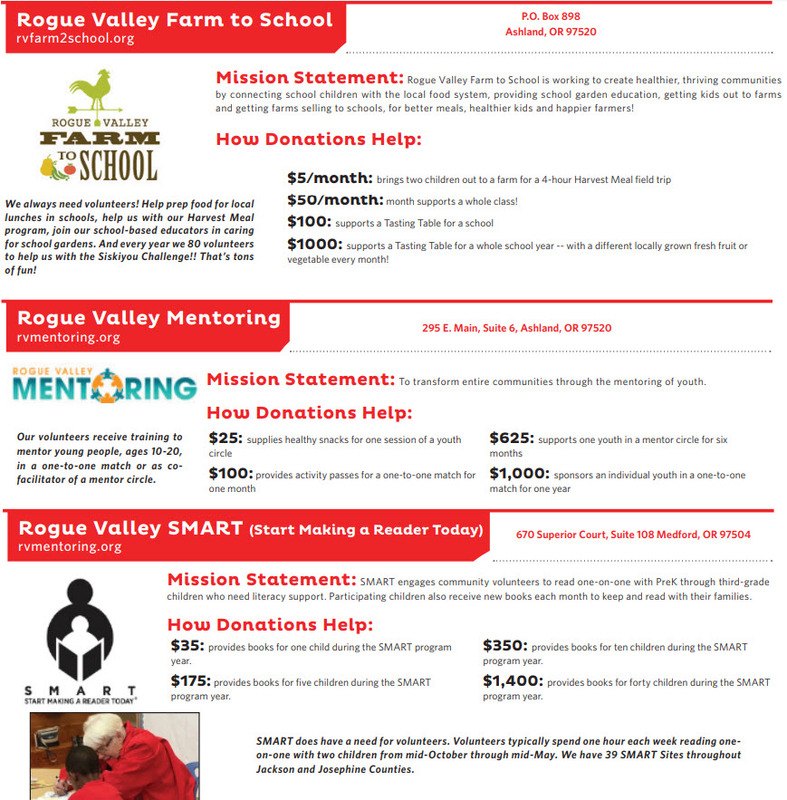 Meet the organizations working to make the Rogue Valley safe, fun, interesting, productive—and consider giving time or money to help make this an even better community. I wish we were on this list. We convert school buses into homes for homeless children and families. We are the only org in the world doing this right now. Our conversion, the first one, finishes with a ribbon cutting and a family moving in on Wednesday, November 21 at 3pm. Same wish Julie has, for Health Care for All Oregon to be on this list. 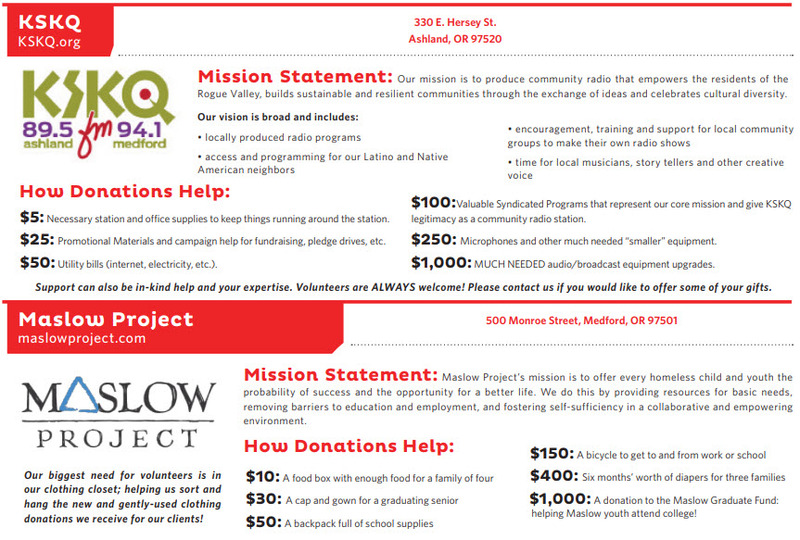 HCAO has a Rogue Valley Chapter supporting our statewide campaign to bring healthcare to ALL Oregonians.